When it comes to getting to know the city of Nha Trang, Nha Trang Information Center (Nha Trang Live) is the best solution. 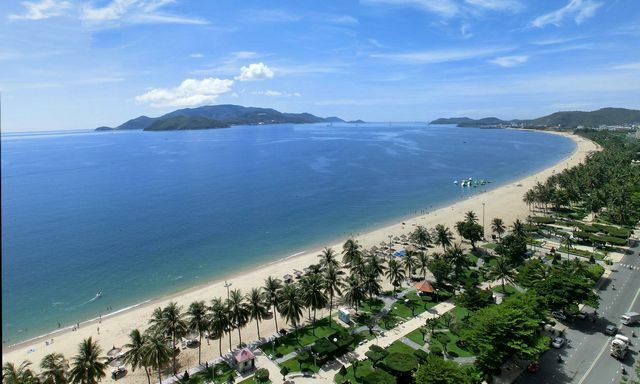 Located in the center of this beautiful city, the center equips businessmen and visitors with the most updated information about Nha Trang, ranging from accommodation to the economy. The Information Center has the most helpful information about not only the city itself but also other adjacent areas. Every piece of information found there is provided by local residents and business professionals, so you can be sure that they are valid and believable. Without Nha Trang Live, you can still enjoy 99% of your time in Nha Trang but paying a visit there can assure you a 100% great journey. Cold drinks and coffee are provided every time you enter Nha Trang Live. Free wireless Internetis also available. On every Saturday night, you can come and try the Vietnamese traditional wine and dessert, as well as socialize with other people who love Nha Trang just as you do! This is also the place where tourist can find the biggest collection of local paintings. Besides, you can also hire a bicycle (or even a motorbike!) to explore the dynamic city for yourself. In a community like Nha Trang, this is the best way to get around and experience the local life on a relaxing evening or an early morning. If you cannot come, just remember that you can always reach the center at 090-714-3404 or online through the link: www.nhatranglive.com, the friendly staff is there to assist you 24/7 with whatever type of concern you have.